Is clothing rental from Gwynnie Bee worth it? Read these reviews to see we’ve received inside past boxes, get cost and shipping policies, and find out how other subscribers rate this box. Don’t forget to check out the latest Gwynnie Bee coupons before you buy. 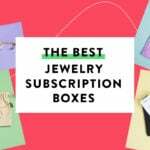 Looking for subscription boxes similar to Gwynnie Bee? Read our list of the best women’s fashion subscription boxes! Check out Nicole’s latest Gwynnie Bee review + outfit pictures of the Gwynnie Bee plus-size clothing rental subscription service, and get your first month for free! Check out our review of the September 2018 Gwynnie Bee plus-size clothing subscription service, and get your first month for free! Check out our review of the August 2018 Gwynnie Bee plus-size clothing subscription service, and get your first month for free! Check out our review of the July 2018 Gwynnie Bee plus-size clothing subscription service, and get your first month for free! Check out our review of the June 2018 Gwynnie Bee plus-size clothing subscription service, and get your first month for free! Check out our review of the May 2018 Gwynnie Bee plus-size clothing subscription service, and get your first month for free!